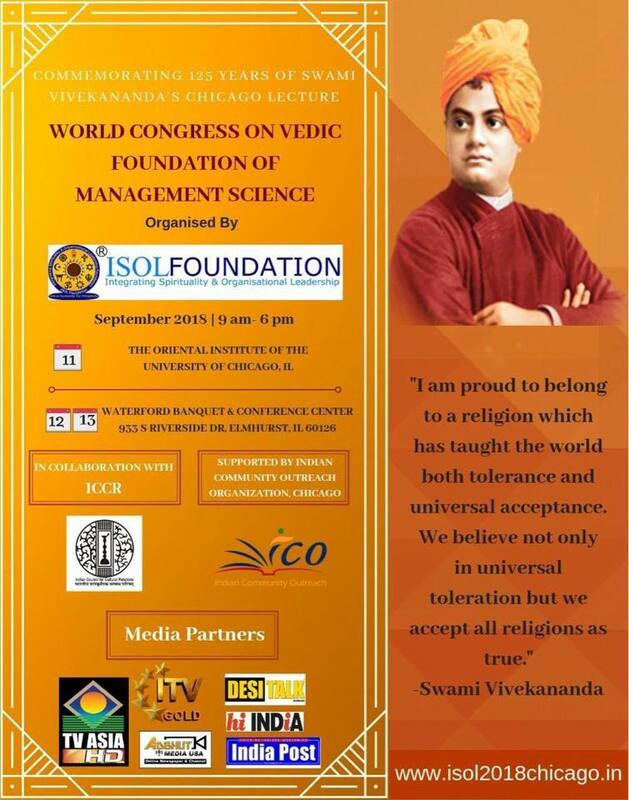 In order to commemorate 125 years of the Chicago address of Swami Vivekananda, Integrating Spirituality and Organisational Leadership (ISOL Foundation) had recently organised a World Congress on Vedic Foundations of Management Science. 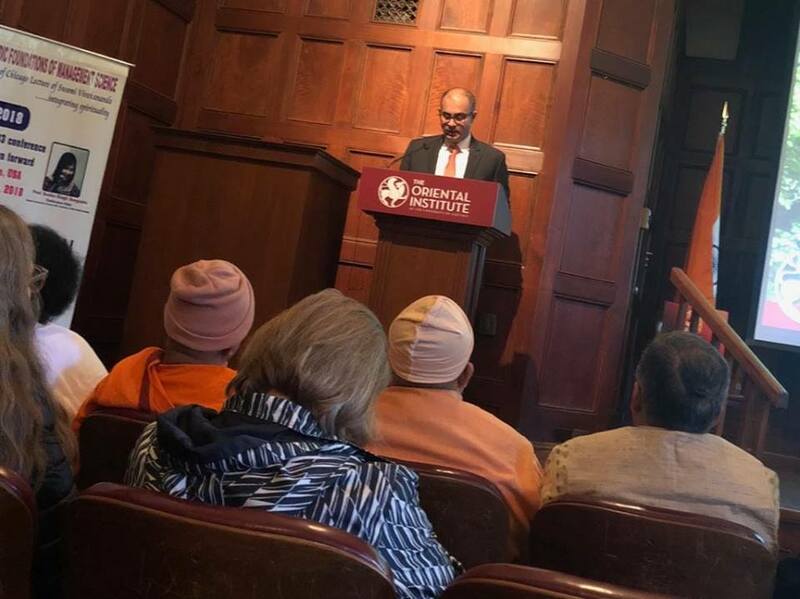 Several luminaries and experts in diverse fields addressed the gathering, which was inaugurated on the 11th of September at the Breasted Hall, The Oriental Institute, The University of Chicago. 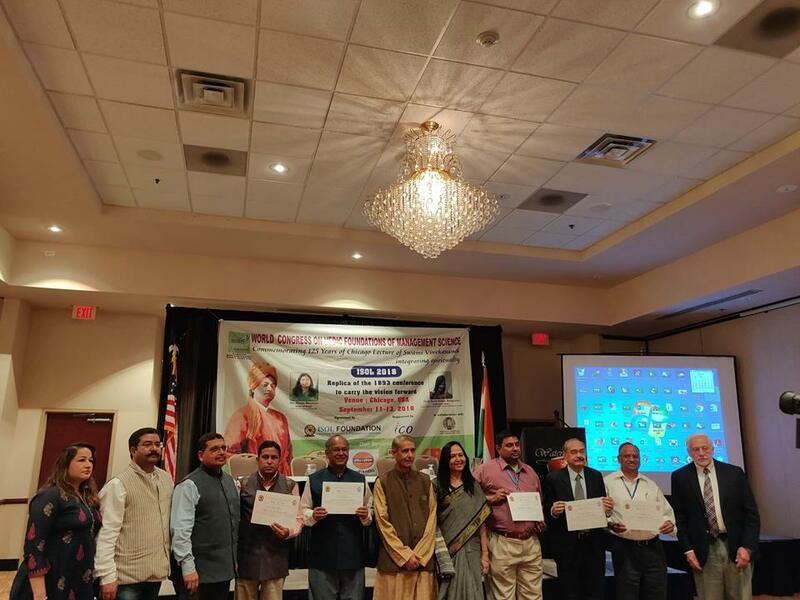 Distinguished Trinity and ISOL Awards were presented on the day. 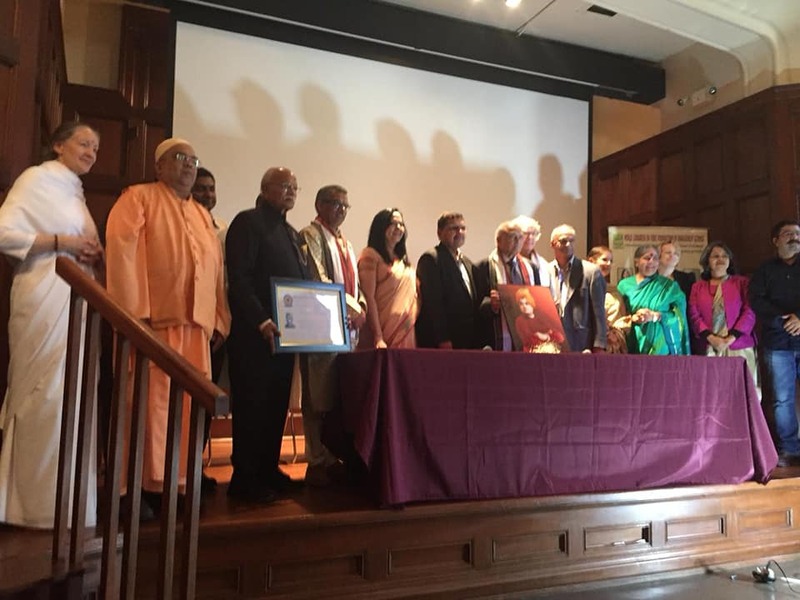 The event concluded on the 13th of September, 2018. The Inaugural Session started with a Welcome Address by Dr J L Raina, Chairman of ISOL Foundation. Vedic Mantras were chanted by Mr Ashok Vyas, followed by a Welcome Song penned by Mr D V Shastry. 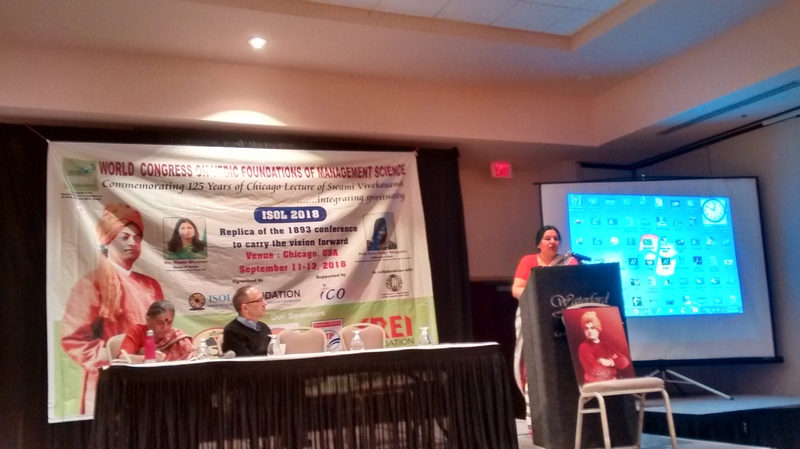 Prof Sunita Singh Sengupta, Founder ISOL Foundation, welcomed the delegates and presented a Background Paper. The following tracks were covered at the three-day event. The last mentioned session was chaired by Prof Neal McGregor. 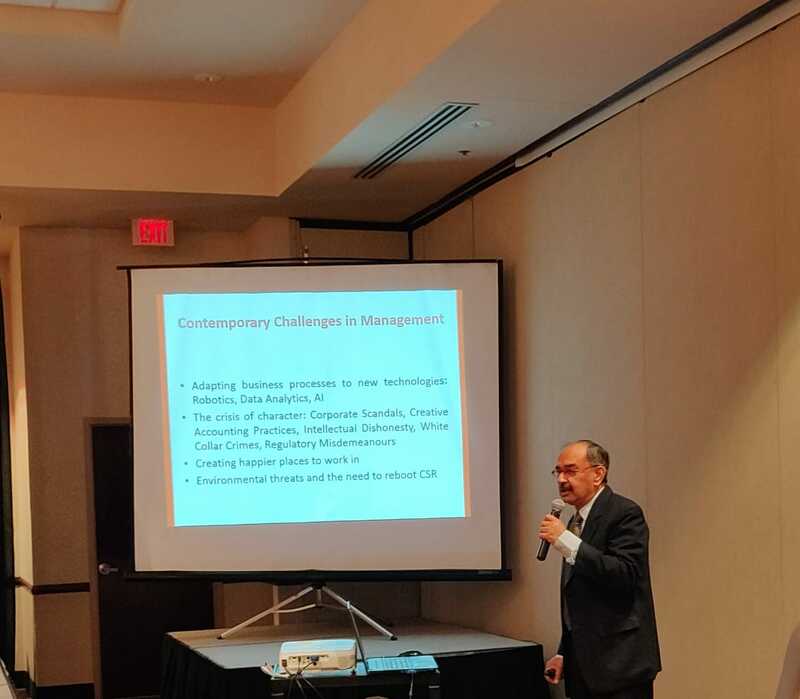 Yours truly presented a paper on ‘Ramayana – Some Management Lessons’. Here is the PPT which might be of interest to some of you. Distinguished Valedictory Lecture was delivered by Lucy Forster-Smith, Senior Associate Pastor for Leadership Development, Fourth Presbyterian Church, Chicago. 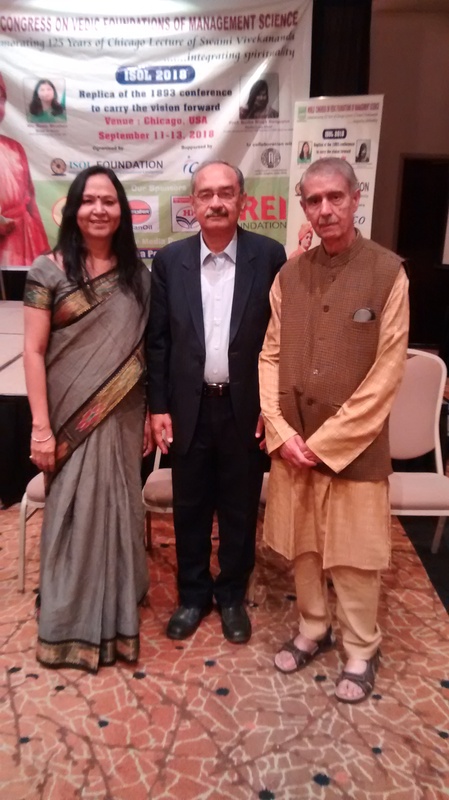 Dr J L Raina and Prof Sunita Singh Sengupta summed up the proceedings of the commemoration event. Wonderful and nice sum up.felt that I should have been there . Very good to know that the event was eventful. Yes, it is great to meet new people who are doing excellent work in their own respective spheres. Thank you. Great work. An inspiration for us.